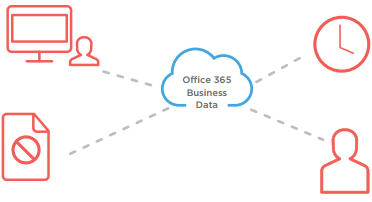 Office 365 and the Cloud do not prevent data loss due to human action. 75% of data loss is due to people deleting content accidentally or intentionally, and that’s not the only threat. Another study found that 32% of the companies surveyed had experienced data loss. Deleted items in Office 365 will be permanently removed after 14 days. Expanded Office 365 licenses and featured offer unlimited retention, but don’t provide a fast, easy way to restore content exactly as it was and where it was so your employees can get back on track quickly. SharePoint Site Admins can permanently delete their SharePoint data, making it immediately unrecoverable. Corrupted files can take hours to rebuild. Items in recycle bin are unrecoverable after 186 days. End users can permanently delete data in their OneDrive for Business account, making it immediately unrecoverable.